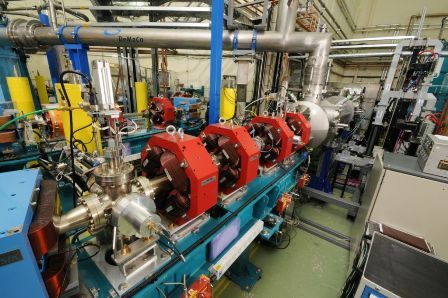 The findings, achieved at the Science and Technology Facilities Council’s (STFC) ALICE accelerator facility, will lead to major improvements in the diagnosis, treatment and prognosis of the disease. Oesophageal cancer is the ninth most common cancer in the world and around 8,000 people are diagnosed every year in the UK. 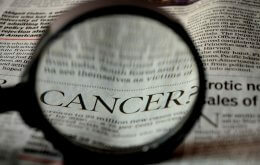 It is an extremely difficult cancer to diagnose and is highly aggressive. Patients often present when the tumour is at an advanced stage, when surgical removal is no longer possible. The aim of the research is to develop a diagnostic test by imaging tissue obtained by endoscopy from patients with a precursor condition called Barrett’s Oesophagus. Patients with Barrett’s Oesophagus are more at risk of developing this form of cancer and are regularly monitored to detect changes in their condition. If precancerous changes are detected in these patients, they can undergo potentially curative treatment without the need for major surgery because the tumours have been detected at a much earlier stage. By using a unique and extremely intense source of infrared light (the InfraRed Free Electron Laser) at STFC’s ALICE accelerator, Professor Peter Weightman and his team from the School of Physical Sciences, have been able to image and carry out a blind study of historical endoscopic samples from patients with Barrett’s Oesophagus and, by detecting changes that took place in the samples, have developed a diagnostic test for the disease. ALICE, at STFC’s Daresbury Laboratory in Cheshire, is an R&D prototype for the next generation of particle accelerators and is the first of its kind in Europe. It is based upon a new mode of operation, known as energy recovery, where the energy used to create its high energy beam is captured and re-used after each circuit of the accelerator, so less power is required making it cheaper to run. Electrons are sent round the accelerator at 99.99% of the speed of light and 99.9% of the power at the final accelerator stage is recovered and re-used. The collaborative research between the University of Liverpool and STFC’s Accelerator Science and Technology Centre (ASTeC) is supported by the Cockcroft Institute and also includes the National Research Council of Rome Tor Vergata (ISM), the Department of Gastroenterology at Royal Liverpool and Broadgreen University Hospitals NHS Trust, and the Departments of Molecular and Clinical Cancer Medicine and Gastroenterology in the Institute of Translational Medicine at the University of Liverpool. Listen to Professor Weightman’s interview on the Today programme (8 February 2012).